Emissions rules in the us are tough and some foreign automakers have a hard time meting those rules. Such is the case with Lotus and its Evora sports car. 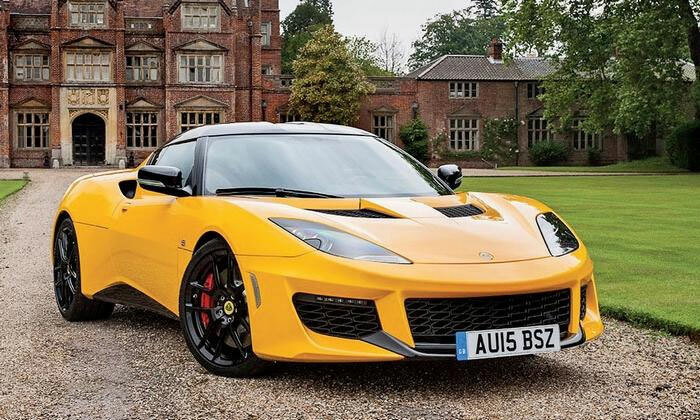 Lotus had to upgrade the Evora to ensure that the car complied with US airbag regulations and the British automaker has now announced a new entry level Evora for the US that ditches the supercharger from the Toyota V6 under the hood. Ditching the supercharger would reduce power, but improve fuel economy for the car. Lotus’ CEO wants to ditch the blower rather than moving to a turbo four cylinder in the car as other sports car makers like Porsche have done. The detuned Evora is expected to have 400hp from the V6 sans blower, which should be enough to make the car perform well. It’s unclear just how much this new entry-level Evora will cost. We can only hope that Lotus doesn’t offer the car with less power in the US for the same price it offers the supercharged version for in its home market. Lotus figures it will sell about 400 Evora cars in the US annually. Lotus plans to bring the Elise two-seater back to the US with a new version coming after 2020.